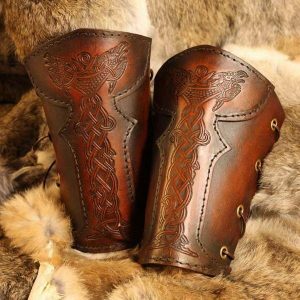 The Vendel Wolf?Leather LARP Vambrace are one of the most unique designs to be offered by Black Raven Armoury , this has been professionally dyed and built for you by ourselves. Created & designed by Alex Agricola, the whole set is made of premium grade top grain 3.2-3.5 mm Veg Tanned leather. 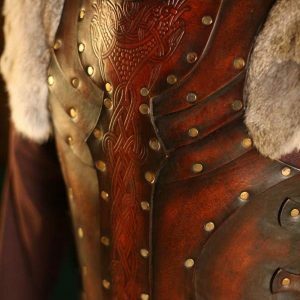 The Vendel Wolf?Leather LARP Vambrace is the jewel in the Black Raven Armoury’s crown. Painstakingly designed and created by our own Alex Agricola these Vambraces are one of pour proudest achievements. Made of premium grade top grain 3.2-3.5 mm Veg Tanned leather this unique set features an arresting image of a Celtic Wolf on each arm and is fashioned to impose and impress. ?Some call him Arthur, others Beowulf, but from Camelot to Hoggetowne they know the wolves on his arms…? 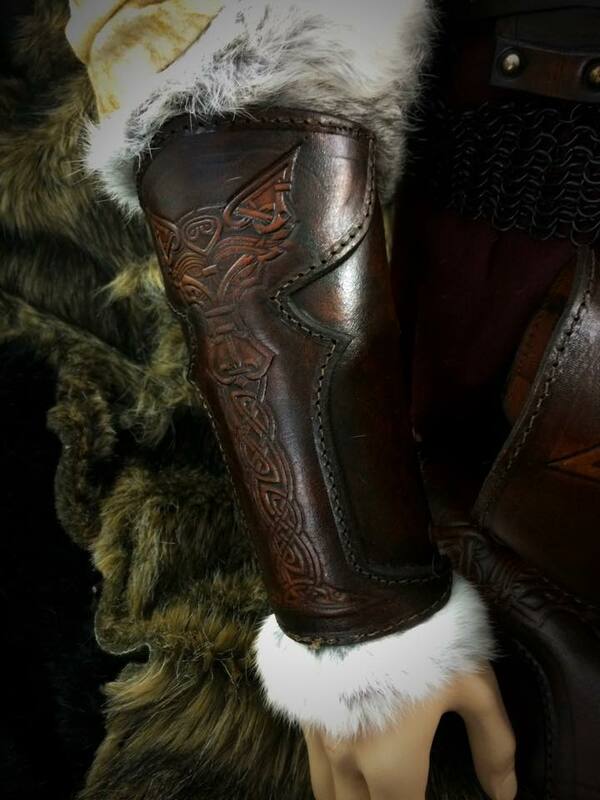 The bracers are beautifully embossed and the design has held up while breaking them in. The brown dye is much darker than in the photos, almost black. 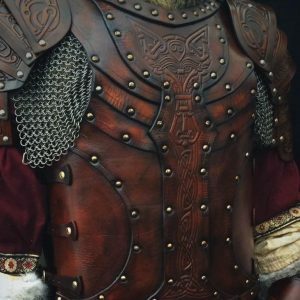 Whether it will lighten over time I’m not sure but it’s certainly a great looking addition to your LARP kit for any character or class. I placed an order on February 10th with the expectation that it would take 10-14 days before it even shipped. I received my order on February 16th. It came quickly, in perfect condition, and was absolutely gorgeous. 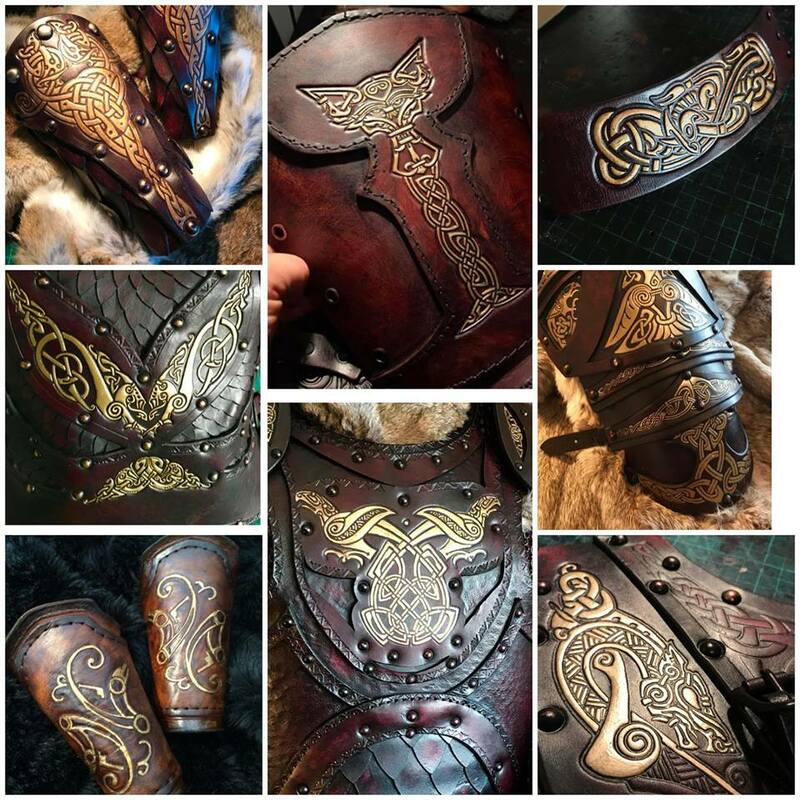 I have already given my friends and Dagorhir group the website and plan to order a few more things from here. These are durable and beautiful in design.